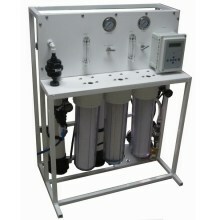 This Reverse Osmosis ("RO") System is for operation on virtually any quality tap water, containing up to 1,000 PPM of TDS. The system produces RO purified water at the rate of 2,000 - 3,000 GPD (~2 - 2.8 GPM or 7.6 - 10.6 LPM) and economically removes >95% of the contaminants in the incoming tap water. 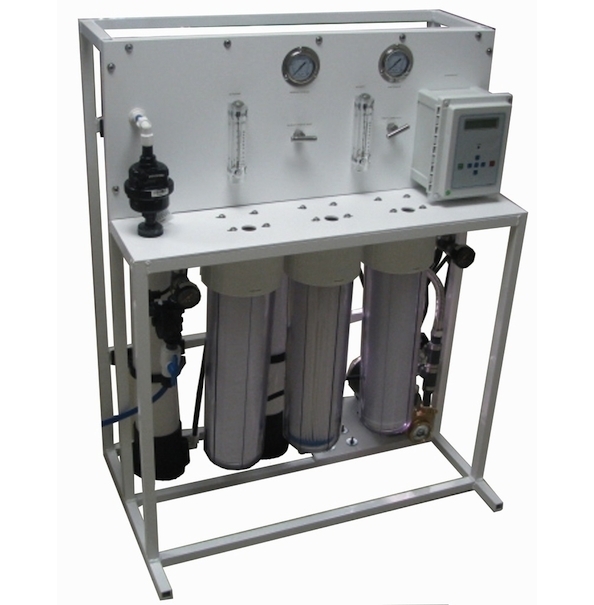 The system has a built-in three stage sediment and activated carbon pre-filter assembly. RO production is 2-Gallon Per Minute. TDS Monitor Details The sensor displays a Green LED when water quality is >2-Megohm-cm and a Red LED flashes when it’s time to change DI Modules.